Smiling goofily from their wooden mounts sit the imaginings of Dr. Seuss, animals with bizarre names like the Turtle-Necked Sea-Turtle, Two Horned Douberhannis, and Semi-Normal Green-Lidded Fawn. 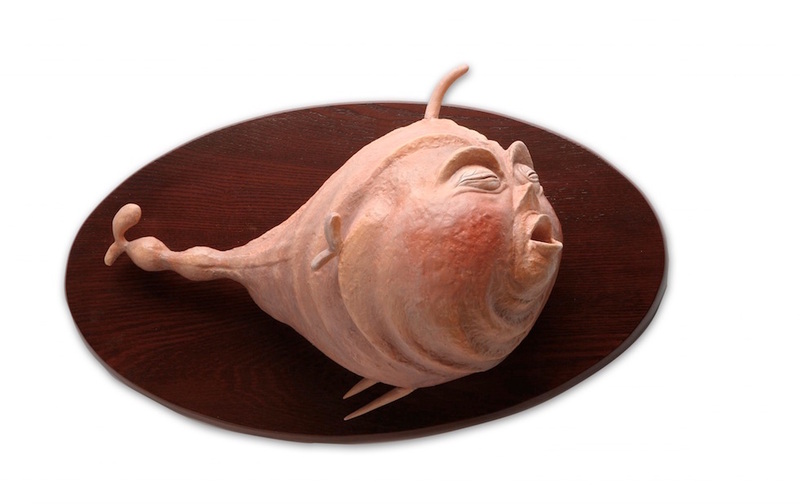 The beasts were not designed by fanatics of Dr. Seuss’ famous children’s books, but are based on works created by the man himself over 80 years ago, each originating from an obscure collection of paintings, drawings, and sculpture known as The Secret Art of Dr. Seuss Collection. 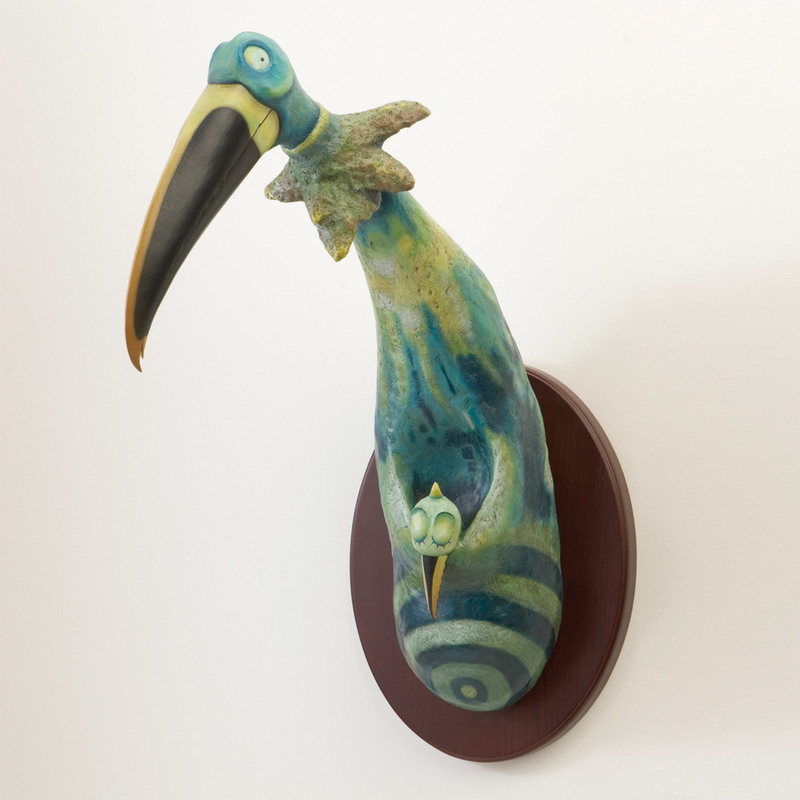 These particular sculptures are resin casts adapted from Theodor Seuss Geisel’s (aka Dr. Seuss) Collection of Unorthodox Taxidermy. The original works utilized actual remains of lions, rabbits, and deer that died at the Springfield Zoo where his father was a director. 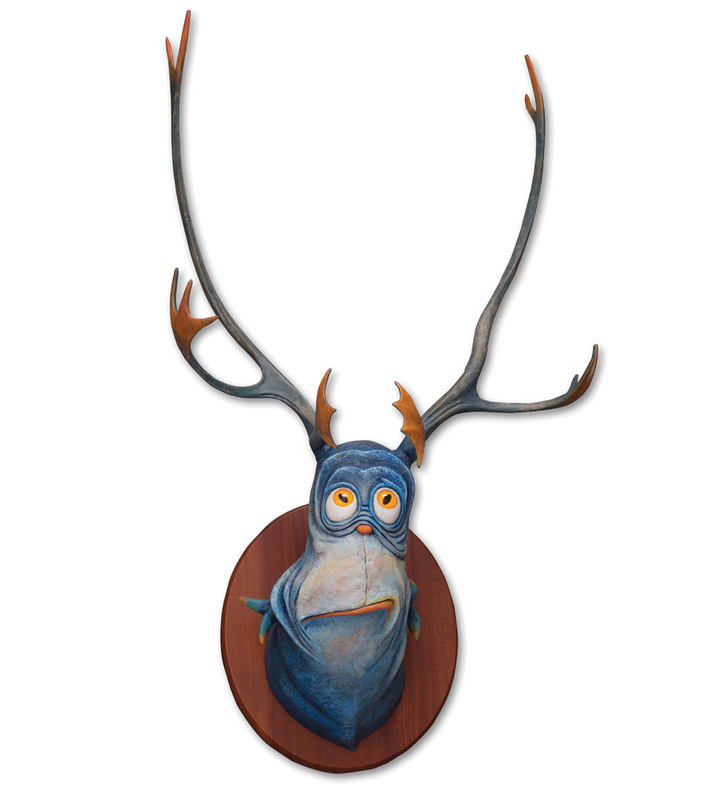 Geisel used these ears, antlers, and shells to form realistic copies of his 2D fictional characters and asked his wife Audrey Geisel to wait until after this death to reveal his works to the public. Audrey stayed true to his wish and waited until 1997, six years after his death, to begin commissioning the sculptures.